Peter Grimes (1945) is generally considered to be Britten’s first opera but it was preceded by several years by another stage work, the operetta-ish Paul Bunyan, written while he was in America in the early years of the Second World War (its premiere was in New York a few months before Pearl Harbor dragged the States into the conflict). Although it was badly received critically and has never entered the mainstream of works produced in the theatre, it is always appreciated by audiences and deserves far more attention than it gets. With catastrophe in Europe imminent, Britten and Pears moved to the USA in April 1939. The years before their return to England in 1942 were often idyllic but also troubled, especially for Britten who struggled to get his work accepted in America. With his collaboration with W. H. Auden on Paul Bunyan, he embarked on his most American project, delving into the folklore and idioms of his adopted home. Paul Bunyan was a mythic character, a giant lumberjack with a blue ox as companion. Some people consider him more ‘fakelore’ than genuine folk hero, as his fame spread most widely following an advertising campaign in the early twentieth century and the origins of the tale are somewhat shady. What the subject matter gave the two ex-pat artists (Auden had de-camped to America shortly before Britten) was a chance to explore the rough outdoor persona of the big country and the pioneering spirit of the new nation. 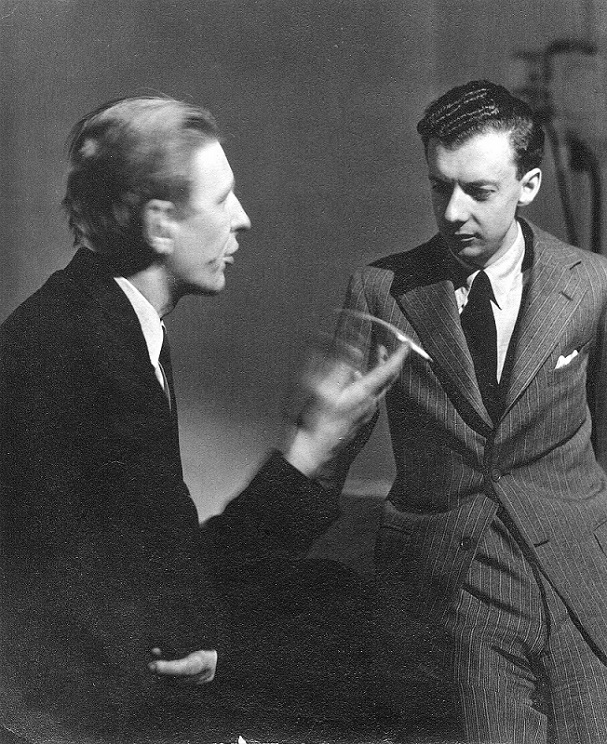 Britten considered himself a failure for much of his stay in the USA and came close at times to giving up composing but he did have some success, with Serge Koussevitsky, then music director at Tanglewood, championing him and Paul Bunyan accepted for production at the Branders Matthews Hall, Columbia, where it had a week’s run. Audiences seem to have loved it but the critics were harsh. In the New York Herald Tribune, the composer Virgil Thomson called it ‘flaccid and spineless’. The hostile reception to this first run meant that the work disappeared from sight for decades, with Britten only dusting it off for the Aldeburgh Festival in 1974. In recent years it has only sporadically been restored to public view. Paul Bunyan has a gaiety and playfulness which is rare in Britten’s stage works. Apart from the rural comedy in Albert Herring and the mechanical scenes of A Midsummer Night’s Dream, his operas are full of anguish and torment and explore dark human themes, so the jollity and uplift of this early work may surprise anyone listening to it for the first time. It’s closer to operetta or even musical theatre than anything else he wrote, standing in relation to the main body of operas as Shostakovich’s Cheryomushki does to Lady Macbeth of Mtsensk. It resembles Kurt Weill’s Broadway musicals in tone, also bringing to mind Stravinsky’s The Rake’s Progress (it’s no coincidence that Auden was co-writer on this libretto), without the neoclassical overtones. Paul Bunyan himself appears only as a spoken voice and the singing cast are an array of Swedish loggers, farmers, an aspiring writer called Johnny Inkslinger, Bunyan’s sweet young daughter Tiny and her lover Slim, as well as a chorus of old and young trees and Three Wild Geese, who set the scene in a haunting prologue, and a dog and two cats. The action is driven along by a narrator who, in Britten’s biggest concession to American culture, sings in the style of a country and western ballad singer. It’s a rich, tuneful and lyrical score that undoubtedly casts forward to the choral writing to come and shows something of the theatrical instinct that was to make Britten such a great opera composer. In his review of the original run, Virgil Thomson said the ‘music is easily recognizable as that considered by the British Broadcasting Corporation to be at once modernistic and safe’, and it was a criticism that followed Britten for many years. Pierre Boulez and his followers dismissed Britten as conservative, while the public often found his work too abstract but, with him now established as one of the finest 20th Century composers, his unique blend of atonality and lyricism has reached full acceptance and appreciation. Paul Bunyan is as melodic as he got. There are two recordings, very different in style. For some, the Chandos recording with Richard Hickox conducting a live performance of the Royal Opera production when it played at Sadlers Wells in 1999, will be too operatic, not quite capturing an idiomatic freeness of style in Peter Coleman-Wright’s narration. Philip Brunelle’s 2003 Plymouth Music Series performance is much more successful in this, authentically American with a fluency and ease that is closer to musical theatre. Many thanks to Simon for his insights. This entry was posted in Listening to Britten, Opera, Operetta, Uncategorized and tagged Benjamin Britten, Paul Bunyan, Virgil Thomson, W.H. Auden. Bookmark the permalink.